Colorado Corridors Project – Volunteer to Help Wildlife in Colorado! 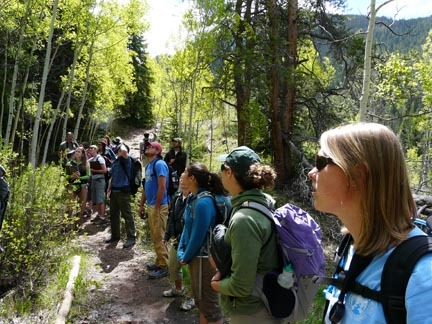 Join Walking Mountains Science Center at Denver City Park tomorrow for a celebration of National Get Outdoors Day. This is a FREE fun-filled day of outdoor adventure, food, music and prizes. Bring the whole family! It’s a community affair. We’ll be playing a game of “animal guess who” on the educational stage at 11am with Dale and Lara. Adventure. Nature.